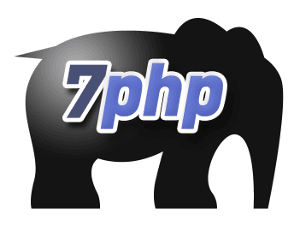 The PHP Community Is Much More Than PHP Codes or Frameworks. It’s About Good Involvement, Humility, Empathy, Relationship & Giving Back – Jacques Woodcock Shares His Wisdom! Back on the 5th November 2013, I landed on three quotes from Jacques Woodcock – published by SouthernAlpha. Those quotes were the outcome of a chat between the ‘World Famous’ Jacques (as Jeremy Kendall tags him) and Clark Buckner on: “about giving back to the community“. The article (I felt) did not satiate my curiosity and thirst to tap more on those quotes which were clearly a top-level view of some wise thoughtful advice (beneath). The ‘level of wisdom’ in them was too strong to be left there, I had to bring it out and I’m thankful to Jacques ‘TheKit’ Guy for sharing with me (and hence you) his precious experience he gained down the years and elaborating more on those quotes. Although I have already introduced Jacques Woodcock to you in his 7PHP Interview: “PHP Interview With Jacques Woodcock A Leader In The Nashville PHP User Group – Engage In Conversation With Smarter People“, I would like to tag him as X-men’s Professor Charles Francis Xavier:- JacquesTheKit is a Leader of the Nashville PHP User Group and does everything (and more than) he can for Nashville, for diabetics as well as for The PHP Community. And above all, he is imbued with wise thoughts and gifted skills. So ladies and gentlemen, put your hands together to welcome in the 7PHP’s theatre tonight, Mr Jacques Woodcock who’ll walk us down the road of leadership, good involvement and good attitudes to nourish! Around 10 years ago, I was working at an agency doing web development, running the department, and seeing first hand how Nashville had to go up against bigger markets such as New York, Atlanta and Chicago, for work. I found after much comparison that Nashville’s biggest weak point was the education level of it’s talent level and the broad availability of that educated talent. I have a firm belief that education is the solution to almost all societal problems, thus I had a strong desire to help elevate the education level in town. This lead me to getting involved in the programs that were already existing to see if I could help strengthen them as well as helping setup new education programs. As Nashville has matured this focus has expanded to include elevating the profile of the wonderful talent we have and place them on a bigger stage. >> Lessons learned, that can be of influence to others, including me? Ego needs to be checked at the door. You can’t do community development in order to feed your ego and you can’t do it for any reason other than to better the community. If you have ulterior motives the community will see and respond accordingly. Also, there are those who have great ideas and plans around those ideas; then there are those who can execute those ideas. Find out which one you are and only be one per initiative. Then find others willing to help to be the other. Make sure to pick people you can count on to actual do the work needed. >> You’ve been co-leading so many chairs along the way. What is the secret ingredient behind? I believe the broad reach of my experience is mostly due to my willingness to connect with other people to find their passions and to help spread those out to the rest of the community. We are all diverse beings, and by tapping into that, you can experience much more than a single focus. >> What are the challenges of being a leader? The traps I see leaders fall into often are when they push things upon the community that the community doesn’t actually want or need. Making sure you are listening attentively to the community is a skill that needs to be practiced every day. >> To those that are skeptical or even fearsome of taking on the Leader shoe, what is your advice to boost them up with confidence? People who are afraid are typically afraid to step on people’s toes if they were to do something wrong. It’s avoiding conflict before conflict exists. Being a leader doesn’t mean you’ll have conflict and is easily avoided by being honest and transparent. This goes with my belief you can not have ulterior motives when doing community development or the community will react accordingly. You have to do it cause you are passionate about bettering the community and if you are, as well as honest and transparent, the community will support you. >> What are the attributes that a leader needs to have? Leadership simply needs a vision and the ability to find people who can share in their vision to make it come true. In doing so, humility needs to always stay in the forefront because nothing a leader does is done themselves. If they want to continue to be a leader they need to realize this. >> Things that leader should say NO to and why? Things that are not good for the community and flame wars. >> What are the different ways that someone can get himself involved? There are 3 steps to getting involved. First, show up to events. Second, volunteer to help run the events. Finally, volunteer to organize the events. Practice the humility and listening. When you volunteer to help run an event, listen for what needs to be done and do it. Make things happen. This will translate when you volunteer to organize. What ever you do, do not volunteer under good intentions and don’t follow up. To be respected you have to follow up with actions to what you say. I have no secrets. I deeply respect the people in my community. They challenge me and make me smarter. I simply what to be spend time with them and learn. >> Is any involvement, necessarily a good involvement? I’m not sure many people will tell you this, but no. Not all involvement is good involvement. When you get involved you must be useful. Don’t say you want to help, but then don’t follow up with it. Find what needs to be done and get it done. If you get the feeling that being involved will just add dead wait, to your fault or the organizers, don’t do it. Showing up is the first step. From there, show interests, the rest typically takes care of it’s self. >> What do you actually mean by the phrase “..our light shines for a little and then it goes away..” ? >> In what ways can we make the community brighter? + What is your call to action for people to do it? Get involved; attend your user groups, hack weekends, conferences. You will find your place in the community once you show up. >> You are focussed a lot on maintaining humility and empathy. Could you share with us how to train oneself to adopt this attitude and what are the gratification behind, based on your own experience. For humility I recommend standing beside the immense span of the ocean, sun just falling below the horizon, and think about how little your presence leaves a mark on this world. For empathy, expose yourself to any one you can. Get to know them, what makes them tick and realize deep down, we all want the same thing from life. Execute remembering both of these. >> To you, is there any difference between humility and empathy? How do you define them, as applied to PHP ecosystem. Humility is the willingness to say that though you might be an agent of change, if it weren’t for a community to accept and support change you would be nothing; while empathy is the ability to understand what change the community needs/wants.